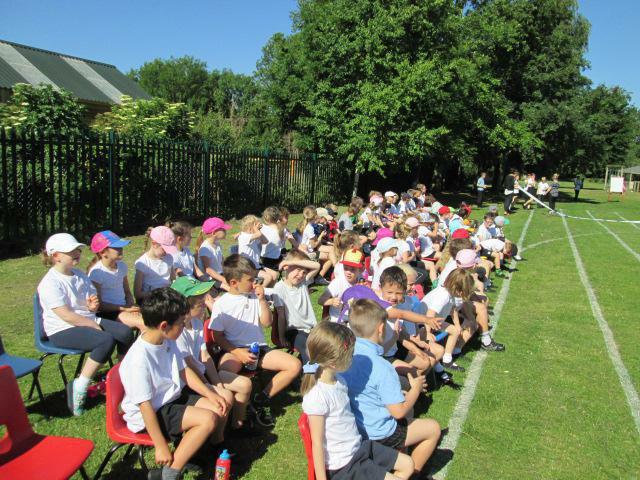 The summer term has been very busy! 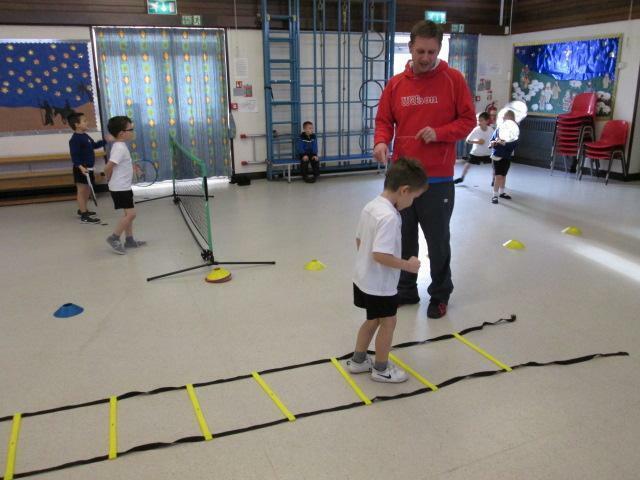 We have been finding out about Wiggle Crawl and Run and also life in the 1950s. 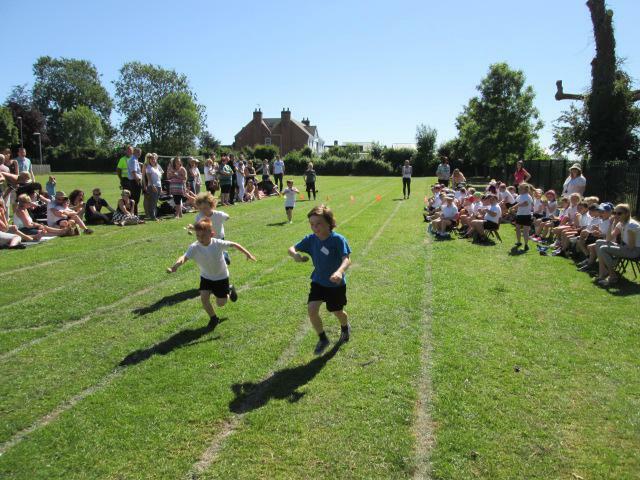 In Wiggle Crawl and Run the children found out about living and non-living things and explored their differences. They identified and named a variety of common animals including fish, amphibians, reptiles, birds, invertebrates and mammals. 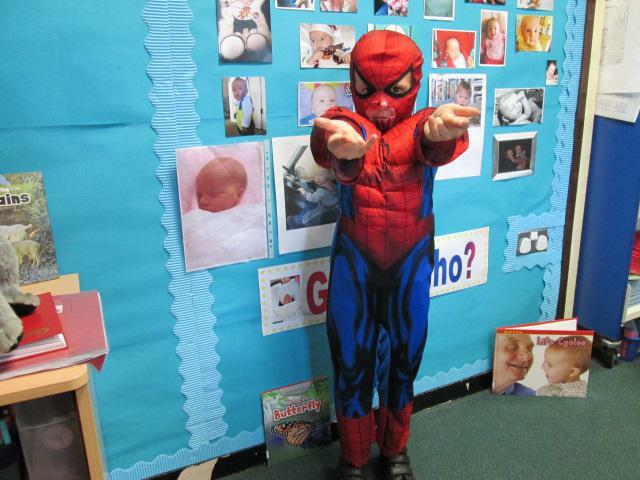 The children researched different animals using non-fiction texts, encyclopaedias and the internet. They made up riddles and gave each other clues to guess the animal which they all enjoyed doing. 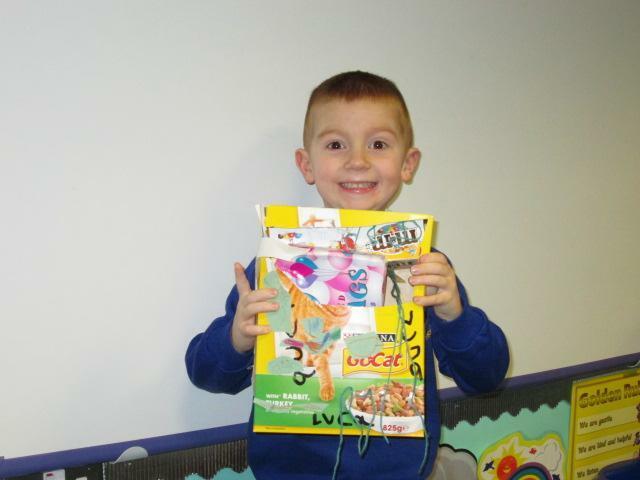 The children had great fun investigating moving picture books and had a go making their own moving pictures. They made simple sliders and moving mechanisms. These were either mice coming out of holes or ships on the sea. The children went on to design their own moving picture. 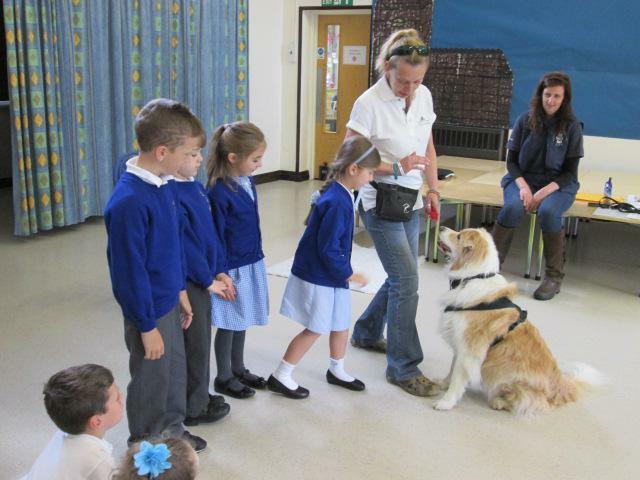 The children went on to learn about simple levers and had a go making “Wag the dog” who had a moving tail and tongue. They used card and paper fasteners. 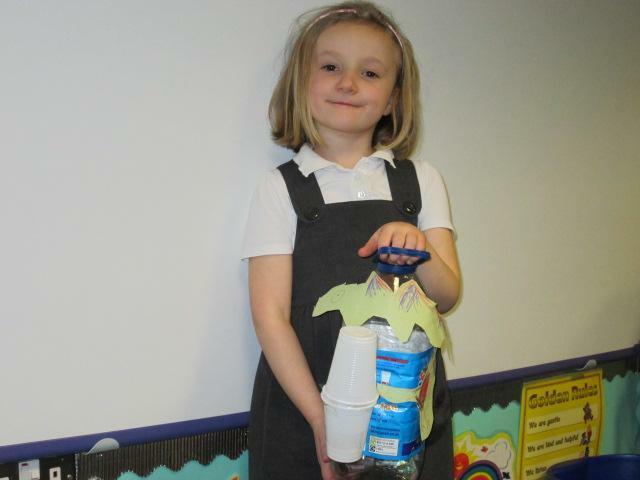 We had an animal parade for children to display what they have made to each other. They discussed and decided what went well? What are you pleased with? What could be improved? We completed the topic by describing the life cycle of some living things e.g. Egg, chick, chicken? We had great fun displaying our baby pictures to make a guess who baby gallery in the classroom. In the 1950s topic we made a family tree of the Royal family. 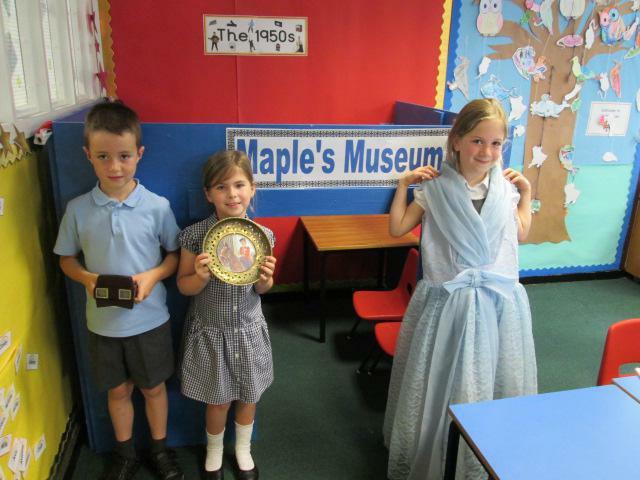 The children enjoyed finding out about the family and most had heard of William and Kate. We then explored the life and work of L.S.Lowry. The children enjoyed being art critics and painting in the style of Lowry. They listened to an old song about matchstalk men and matchstalk cats and dogs. It used to be in the charts a very long time ago!! 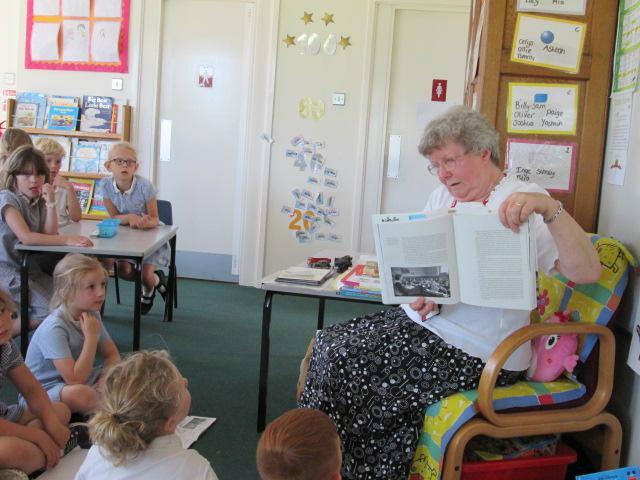 We then found out about life in the 1950s and Mrs Barnes came to talk to us about her experiences at school. 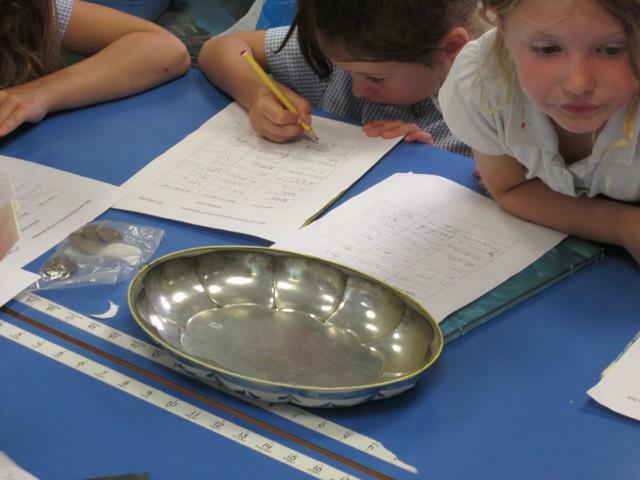 The children enjoyed asking her questions and looking at artefacts. 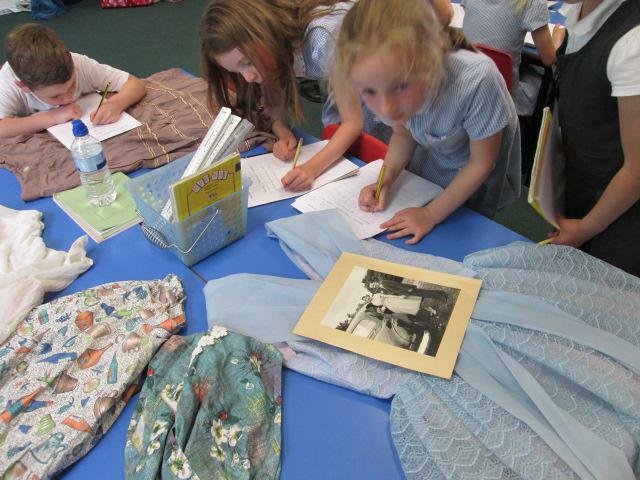 We had a museum in the classroom and worked with year 2s to go on an artefact exploration. Not many of the children knew what a tea strainer was!!! Thank goodness for tea bags. 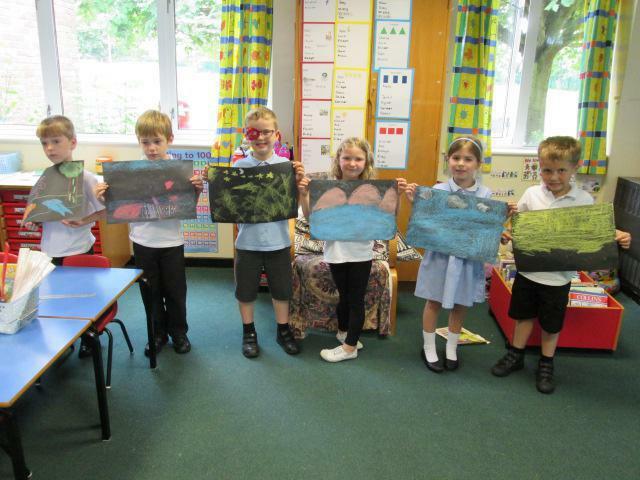 In RE we found out about the story of creation and drew pictures in groups using chalks. We drew a picture for each of the 7 days. 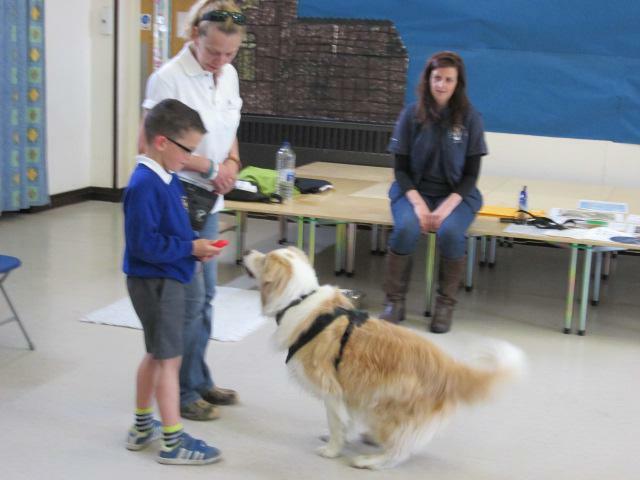 We finished the term with a visit from a dog and trainer so that the children could learn how to behave around dogs. 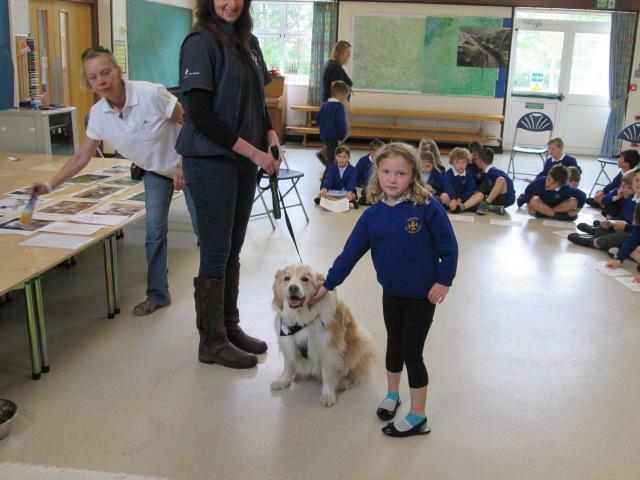 The children really enjoyed meeting Otis and watching him do tricks. We visited the Life Education caravan on site and really enjoyed meeting Harold the giraffe. 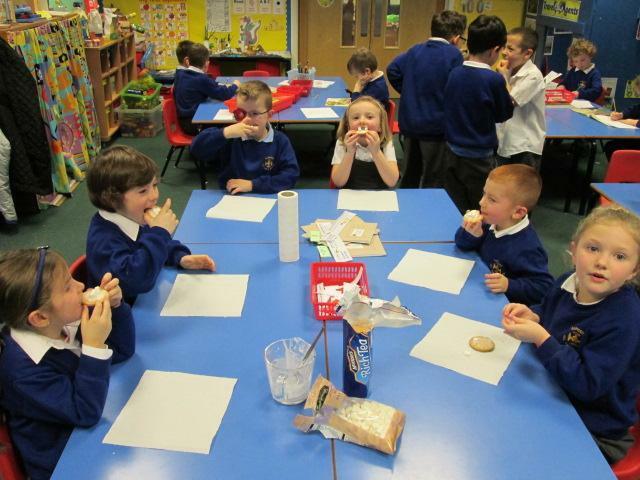 We found out what our bodies need to work and we talked about what the different jobs that different foods do. It was called My Wonderful Body. 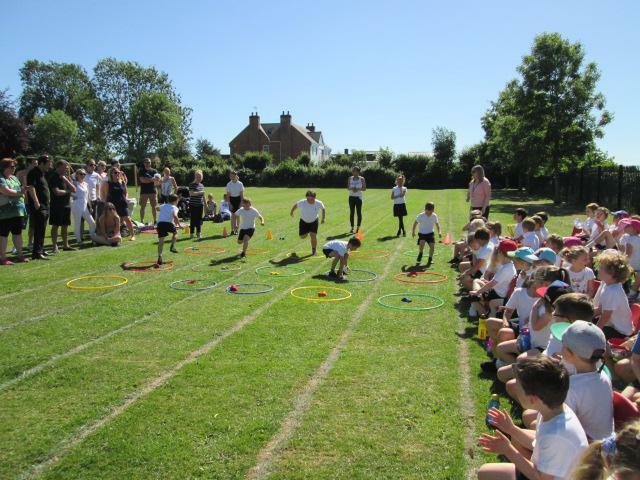 We also had our yearly sports day which all children enjoyed and they all participated with enthusiasm and perseverance. How exciting! 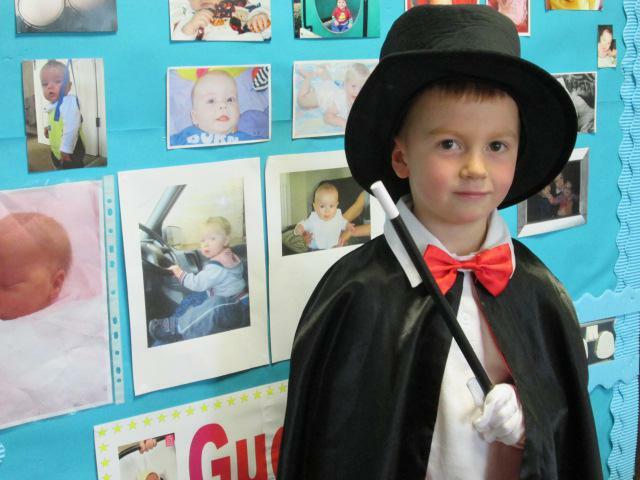 Over the past few weeks we have been finding out about Paddington bear and the countries he has visited. We started by making a passport and finding out about the countries of Peru and Great Britain by focusing on their money, flags, food and major land marks. We have briefly investigated the Arctic and we will revisit in more depth next term. 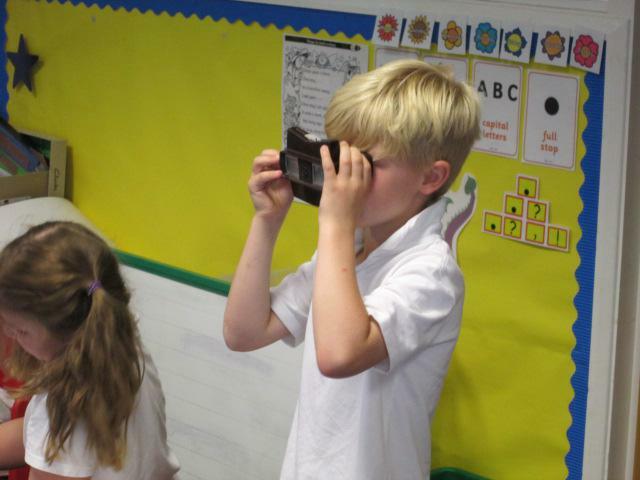 We have looked at the physical features of Peru which are the sea and land, mountain area and the rainforest. 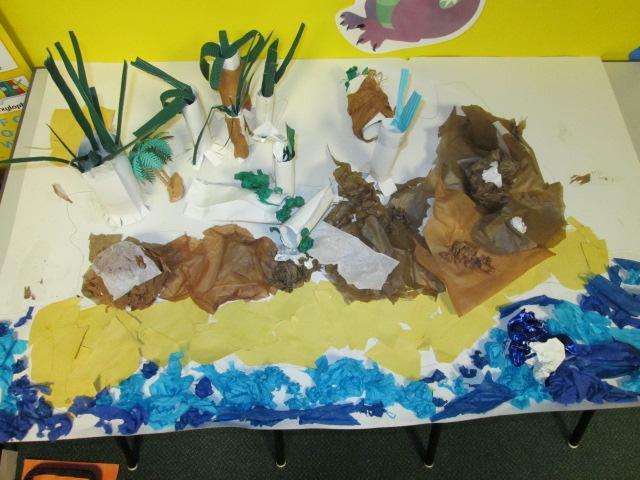 We made a 3D map of the country which we really enjoyed. We worked in small groups to make the different features and put them altogether on the map. 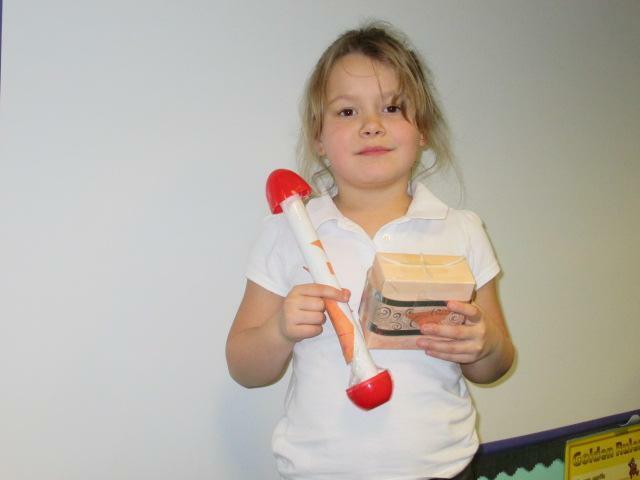 We have also enjoyed making instruments to represent the sounds of the weather and animals you might hear in the rainforest. We made short pieces of sounds in small groups and also worked as a class. We have looked at where different animals live and how they have adapted to their environments to survive which we have all found interesting and great fun. 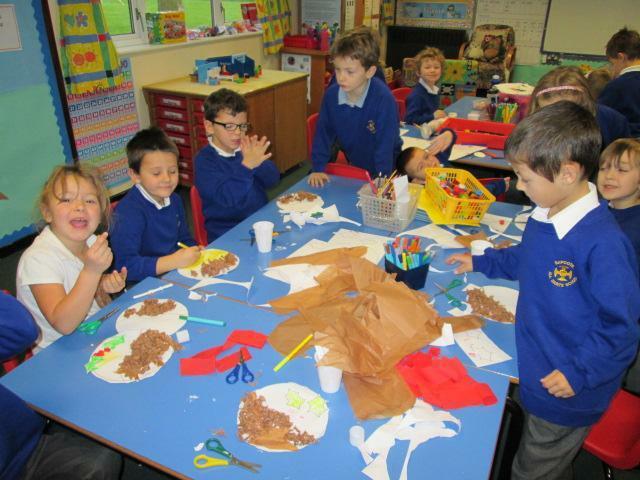 We are currently working on our own 3D rainforests which we are making in a shoe box. 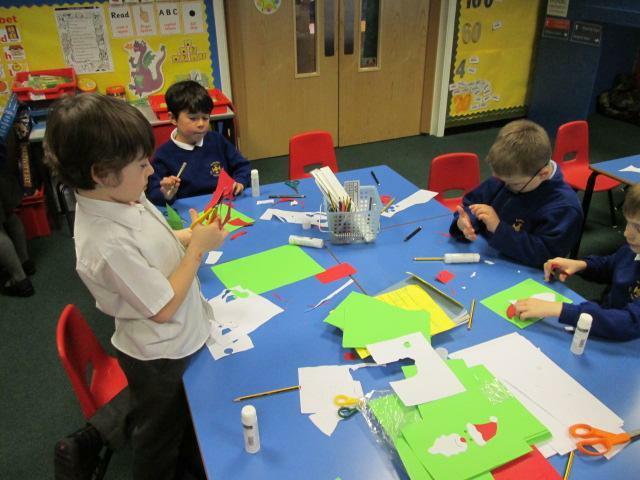 We have used different items like paper, card and plasticene to make the different features. We have explored different textures and patterns of animals using paint, pastels and pencils. We are now working on drawing the animals and their textured coats. 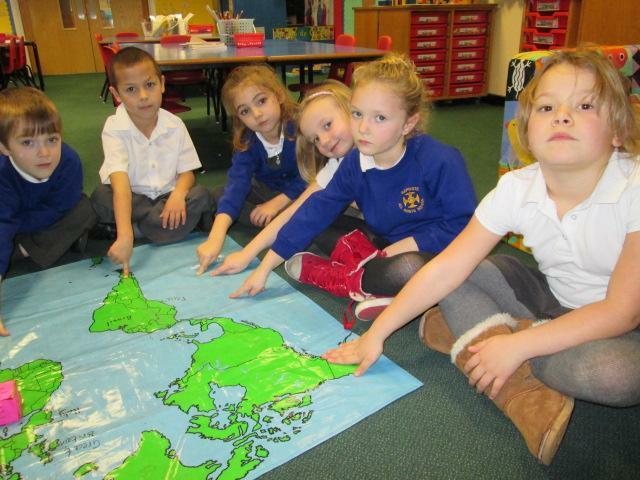 Next term we will be finding out about the continents and the oceans of the world. We will be continuing to link the topic with Paddington. In maths we have been continuing with the four basic operations and practising our times tables as often as possible. We are learning our 2x, 10x and 5x tables first so remember to make a game for your homework to help you learn them. Enjoy your half term holiday! 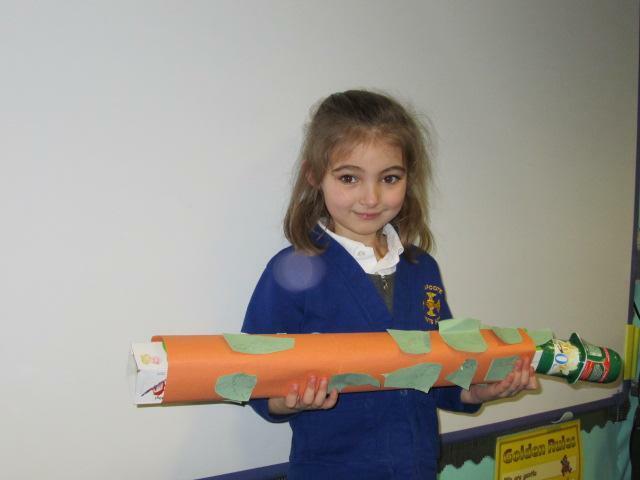 We have been very busy this half term learning about “World War 1”. 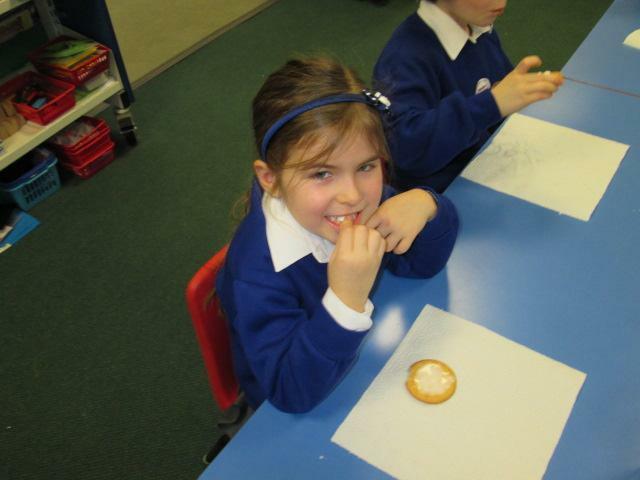 We have been finding out about life in the trenches and we made our own poppies. We thought about how people felt at home and being a soldier. We drew pictures of a soldier too. We went to a special remembrance service at All Saints church on 11th November. 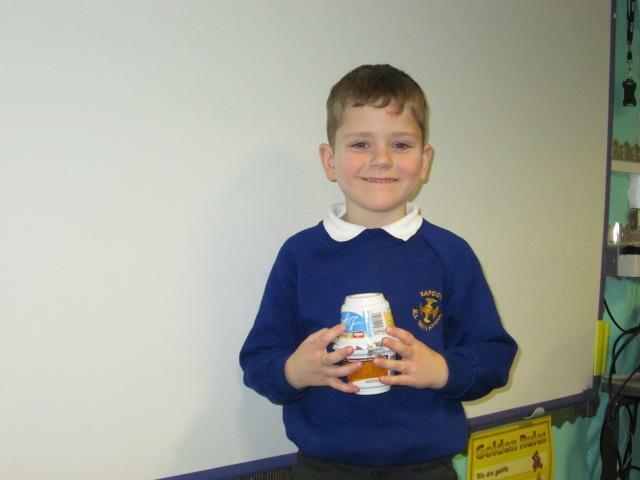 We have also enjoyed learning about electricity! 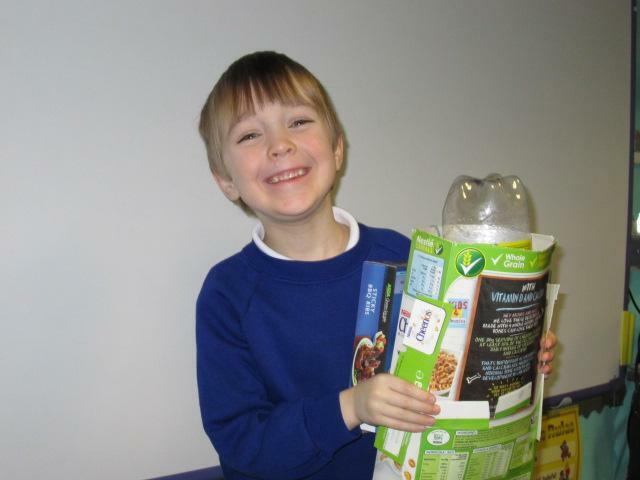 We have discussed and investigated items that are powered by batteries and mains. We enjoyed finding out more about circuits and creating a class circuit! We learnt the names of the pieces needed to make a circuit too. 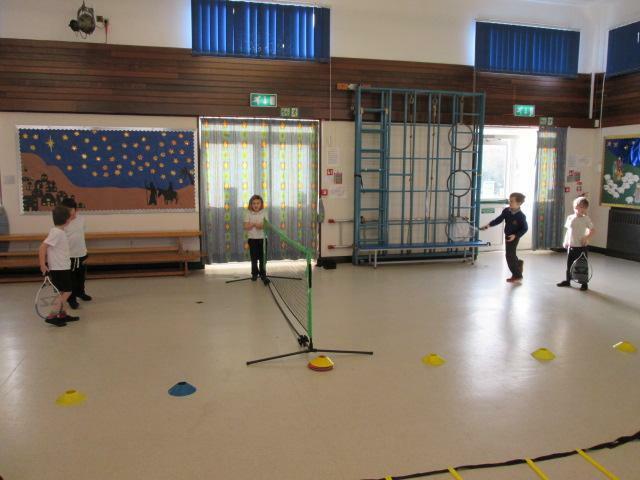 We have continued our tennis lessons each Monday afternoon and have really enjoyed learning new skills! 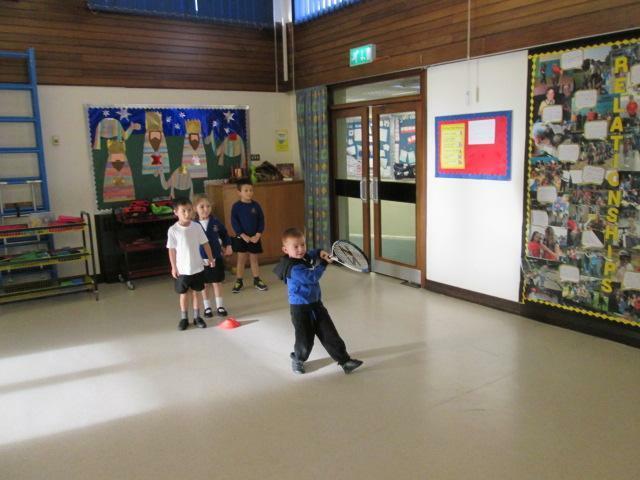 We have practised volleys and are becoming tennis experts! 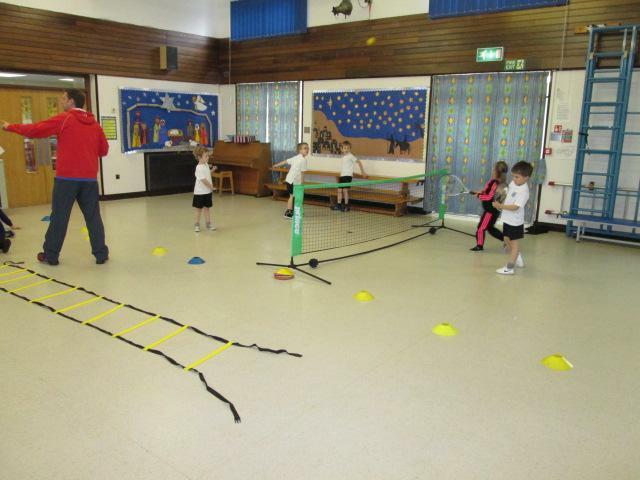 We enjoyed our trip to Stoney Stanton tennis club for an exciting afternoon of tennis. It was great to play on real outdoor tennis courts just like the professionals. 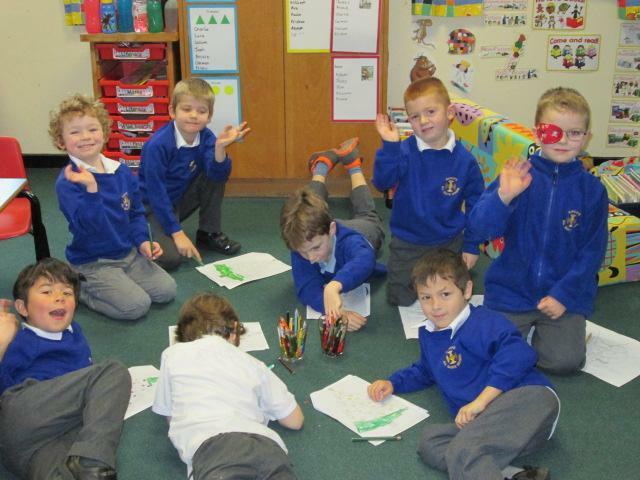 For RE this half term we have been learning all about celebrations and festivals. So far we have learnt about the Hindu celebration ‘Diwali.’ We created our own Diva lamps and enjoyed looking at rangoli patterns! We have also found out information about the Muslim celebration ‘Eid il Fitr’ and designed our own henna patterns! 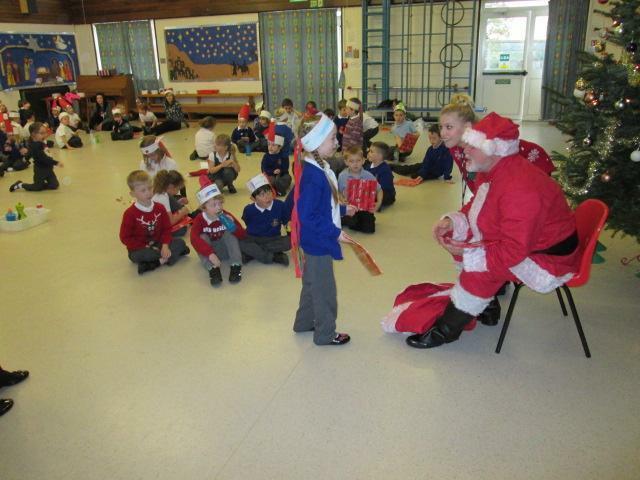 We discussed Advent and Christmas too. 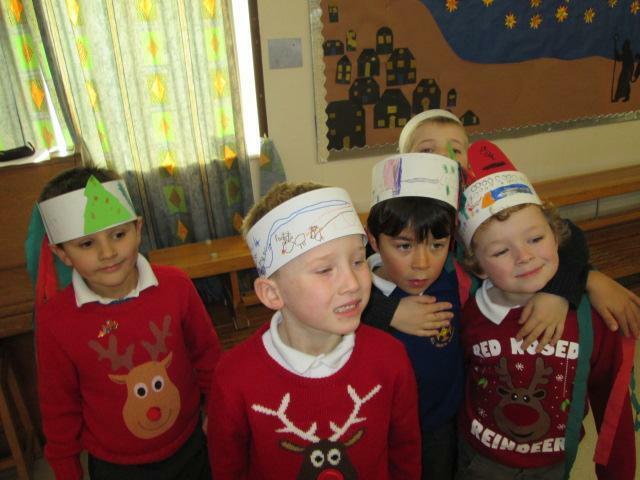 We really enjoyed performing our Nativity on stage for all our parents. Everyone had a very important job to do whatever their part was in the play. 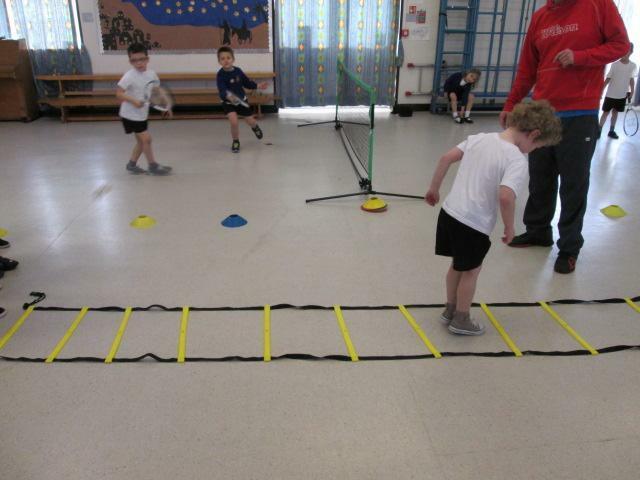 Many children have asked if they can be a part ready for next year already!! 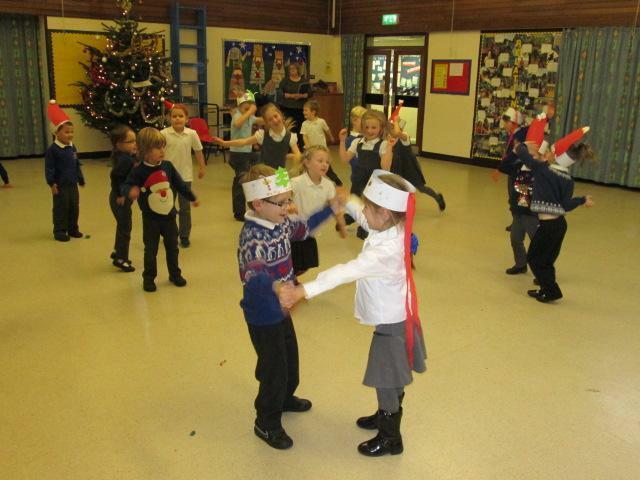 We also enjoyed our day wearing a Christmas jumper. We designed our own and had photos taken as a school and class. Our next topic is going to be Paddington’s Adventures so if possible try to go to the cinema in the holiday to see the new Paddington film. Don’t worry if you can’t fit it in as we have some stories etc for you too. 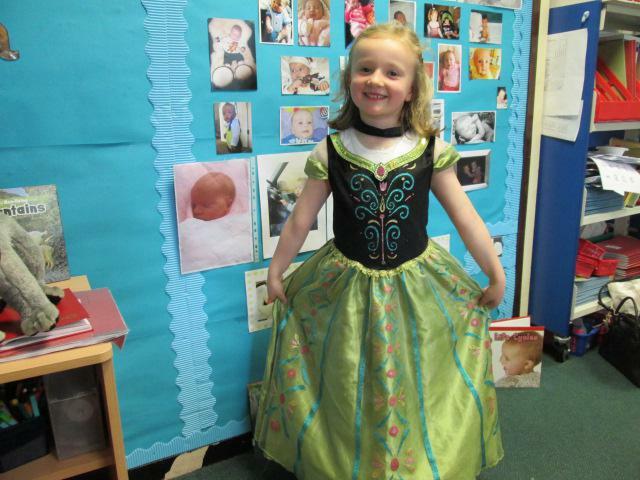 The role play will be travel agents so if anyone has any resources we could borrow that would be great! We have started the term by finding out about The Great Fire of London in 1666. 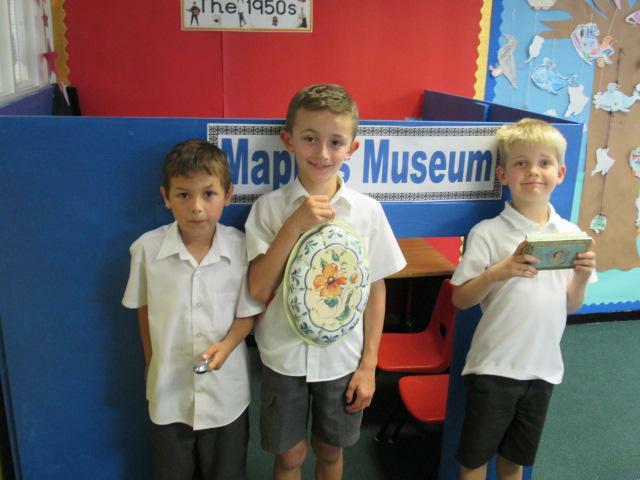 The children have enjoyed being time travellers by having a magic key and a special button to press which takes them back to the time of Samuel Pepys. They have made a diary and investigated the sights, smells, sounds and feelings the fire would have produced. See panoramic view of the Great fire website. The children have loved this history topic and most children can remember the key facts very well. They have painted with fire colours of red and yellow and explored how to mix orange. They painted a background of fire using these colours and then made silhouette houses of the time using black sugar paper and chalks. We have a fire station in the role play area which we are beginning to use. We can act out different scenarios and pretend to be a fire officer on a shift or doing our exercises whilst waiting for a shout. Next term we will be able to use the hospital to help us think about nurses and their important jobs. See photo of the paintings on classroom wall. In science we have been investigating how dark is made. 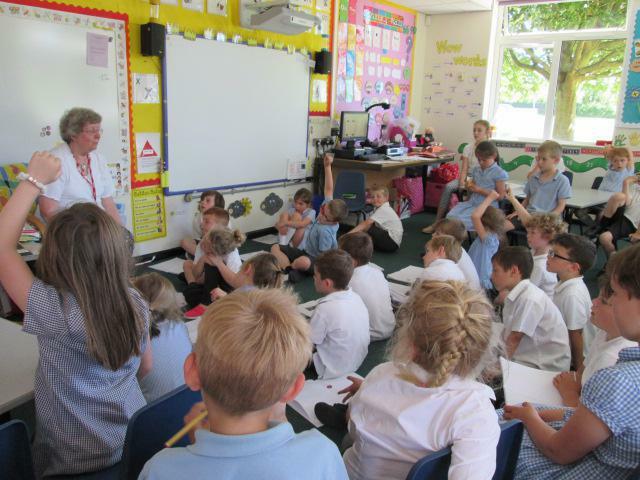 The children enjoyed going in the tent which was erected in the classroom. They explored torches and how some things are light sources and others are reflective. The children made a list of light sources they could find around the school. They also had fun chasing shadows in the playground and drawing around each others shadow. In maths the children have explored place value and number bonds to 5, 10 and 20. They are now looking at subtraction and using cubes or fingers to find the answers of number sentences up to 5, 10 and 20. The children have participated in maths games to help them learn their number bonds. Check out the new maths homework website. We will have ours up and ready for use on Friday 3rd October. Enjoy playing the games online and improving your number skills. Next half term we will be looking at World War 2 and the memorial service to commemorate this, then following on to explore the life of Florence Nightingale. If you have any play items we could use in the hospital we would be very pleased to borrow them. 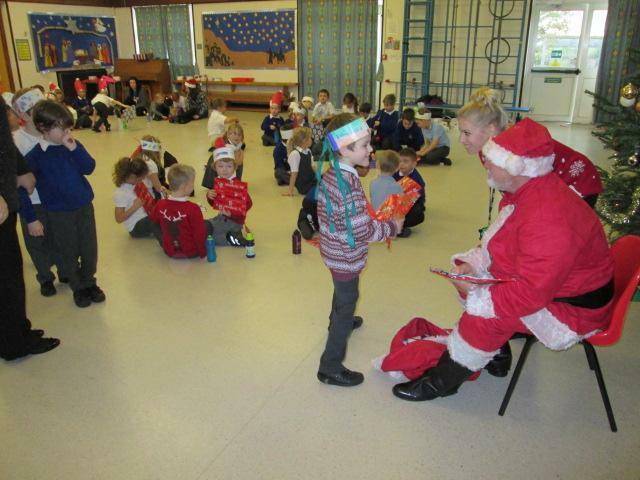 Look out for the Christmas concert and all the fun activities leading up to the very busy time.